How often do you eat cookie dough? I have never eaten cookie dough. In my entire life. Shocking, right? It was one of those situations where, as a kid, my mom engrained the fear of salmonella into our minds and made us terrified of cookie dough (somehow). I don’t know how she did it -- but to this day -- I won’t eat cookie dough. What's the best email you’ve ever received? We get a lot of great emails from the KM Cookie Nation, but this one is probably my favorite -- from James, who was serving overseas in Iraq. “Just wanted to say thank you, the cookies made it all the way to Iraq and are perfect! Shared them with the guys while we were out and they loved them, you’ll be getting a few more orders from us!". Where did the name Kitchen Millie come from? Kitchen Millie is named after my grandmother Millie -- and she was a badass. She was one of those people that spoke her mind and always did her best in whatever (whether that be making pierogies, playing golf, or running her bar with my grandpa). I try to channel Millie every day. What culinary school did you go to? None, actually. A lot of people assume I’ve gone to culinary school or had some type of pastry chef experience. I’ve learned if you specialize in a certain area and work at it, you can become excellent in just about anything. For me, it’s taking action and cookies - what is it for you? I absolutely love SCANDAL! So good. I also like Modern Family, Seinfeld, and have been getting in to Quantico as well. How did Kitchen Millie start? I started Kitchen Millie with $300 on the side of my full time job and didn’t know what the hell I was doing. I spent months researching how to get a license, another couple of months debating if I should launch, and wasted a lot of time because I just didn’t know where to go for information. I love working with students in our Food Business Series because I was there -- it feels great to be able to distill down information that students can take action on the same night we teach it and get them on the path to pursuing their dreams even faster. 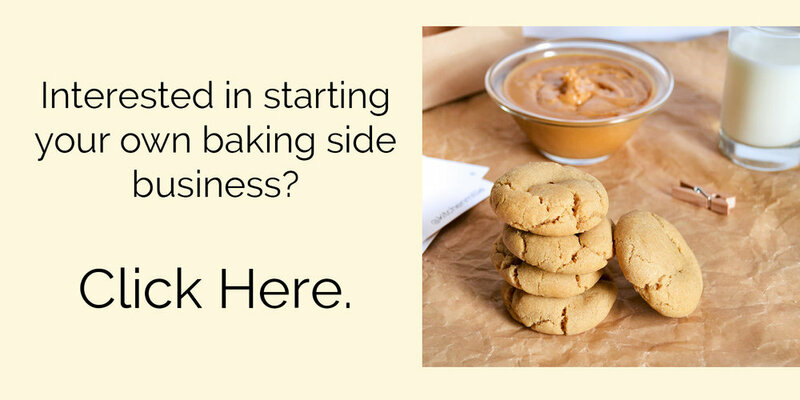 We’ll be launching a baking specific course to earn an extra $1K each month as a hobby baker soon, so keep out on the lookout for that if you’re interested in taking your love of baking to the next level.